Jump Around Utah is a new activity center in Salt Lake with inflatable playground designed to promote jumping, bouncing and fun. 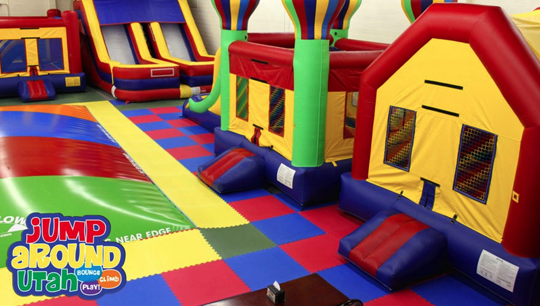 The Utah coupon site HubZub.com currently is running a deal at Jump Around. Click on the big image below to get the coupon.